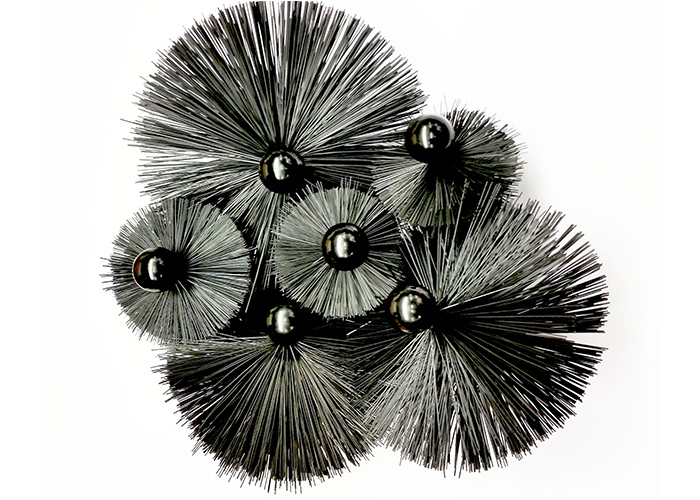 These Brushes will fit Flu Flex Rods that we supply, and rods with a 1/2″ whitworth thread. 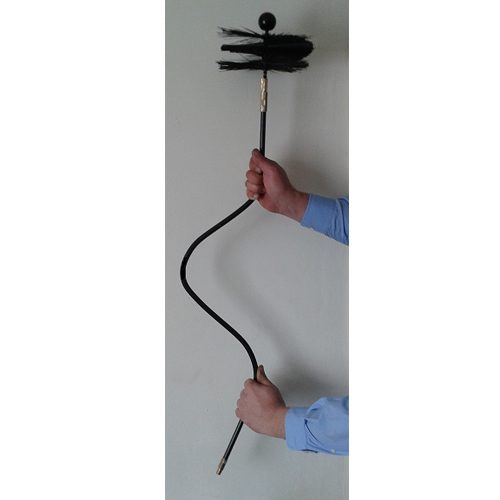 Here are the Flu-Flex chimney brushes with guide ball, quality made British product for sweeping tight bends in lined and twin walled chimneys. 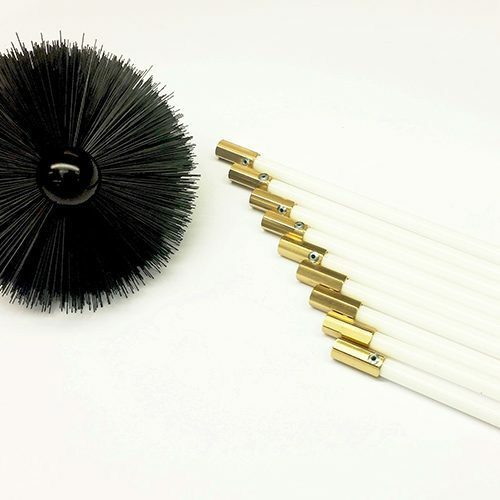 These brushes are softer and ideal for tight bends where drain rod brushes are not suited. 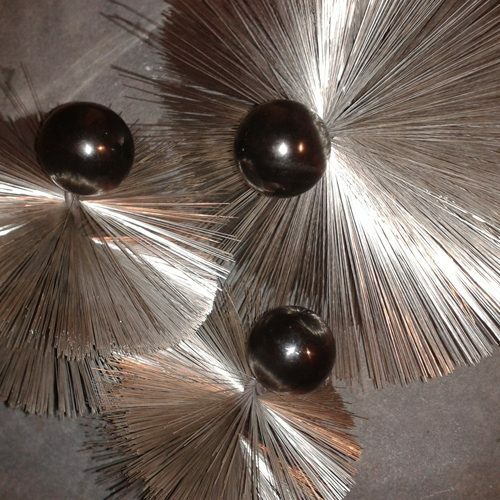 Fitted with a guide ball for easier navigation. 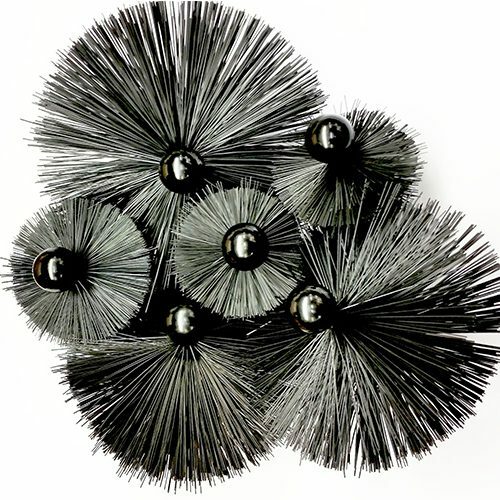 Brushes are fitted with 1/2″ whit-worth male thread. 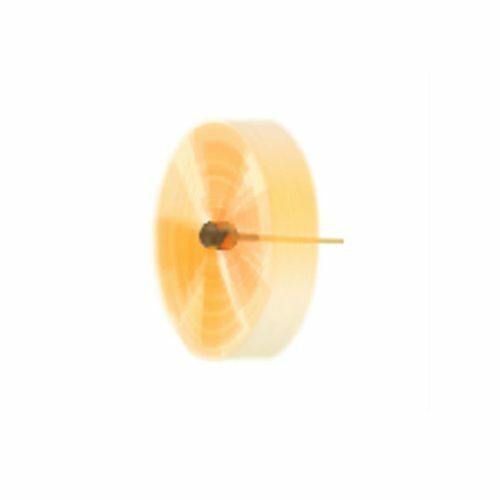 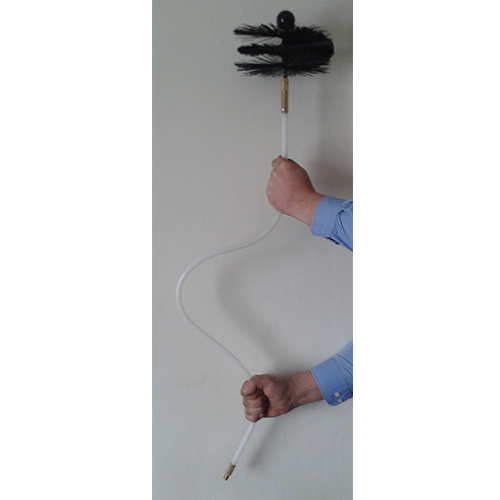 (AN ADAPTER IS REQUIRED TO FIT TO STANDARD DRAIN RODS) see our other listing with brushes sold with an adapter to fit Drain Rods. 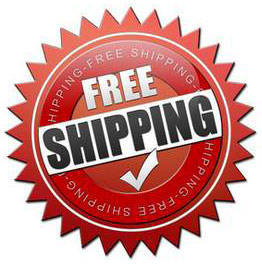 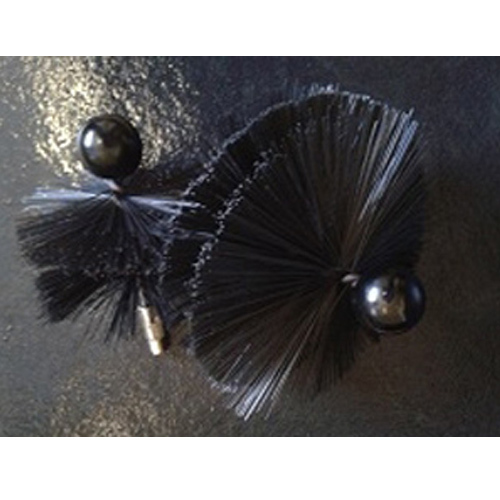 Also see our other listings of brushes sold with an adaptor to fit Drain Rods, we also sell Flu-Flex Rods.